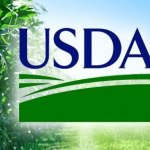 The Department of Agriculture will release data for the upcoming USDA Agricultural Projections to 2028 report. The data tables, due out Thursday, will include projections for farm income, U.S. fruits, nuts and vegetables supply and use, and global commodity trade. Data tables containing long-term supply, use, and price projections to 2028 for major U.S. crops and livestock products as well as supporting U.S. and international macroeconomic assumptions were released in November of last year. USDA Chief Economist Rob Johansson says the complete USDA Agricultural Projections to 2028 report will be released on March 13, 2019, and will include a full discussion of the projections for U.S. commodity supply and use, farm income, and global commodity trade. USDA’s long-term agricultural projections represent a departmental consensus on a ten-year representative scenario for the agricultural sector.